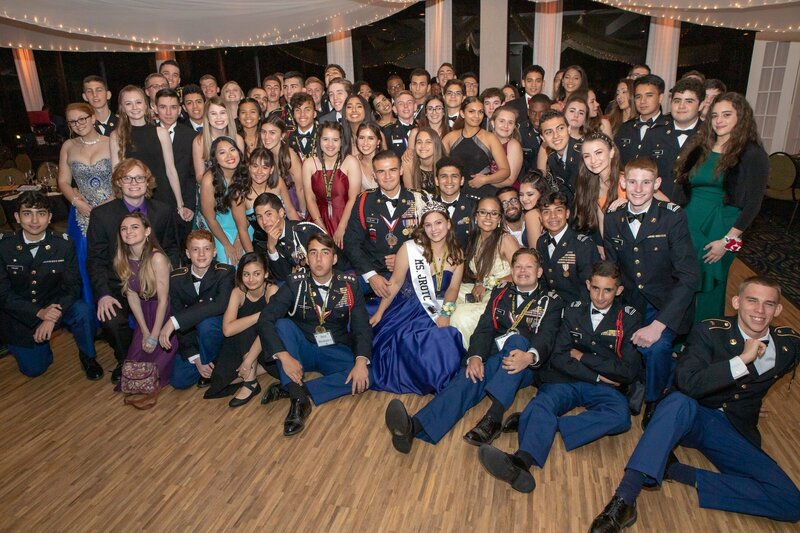 Cadets, families and guests gathered for the 2019 Military Ball and enjoyed ceremonial presentations, cadet awards, delicious buffet dinner, and crazy-fun dancing. The event was electric with energy, friendship, laughter and good times. Certainly one of our best ever! Click to see all the Military Ball Event photos. Use PIN 9260 to download any you want to keep. To order portraits taken by TSS Photography at the Ball, click Portraits. Drill Team going to States!! The Drill team did great at the County Drill Competition on March 9th and now qualifies to compete in 11 events at the Florida State Drill Competition in Lakeland, FL. Congratulations Wildcat Battalion! The State Competition DATE HAS CHANGED. It will now be held on Saturday, April 13th, at George Jenkins High School in Lakeland, FL. The team will travel to Lakeland on Friday, April 12th and will spend the night at the Best Western Mulberry. Parents that plan to drive up on Friday should book their hotel reservations quickly. Tickets and Program Ads now Available! Due to venue capacity, tickets are limited, so purchase early. 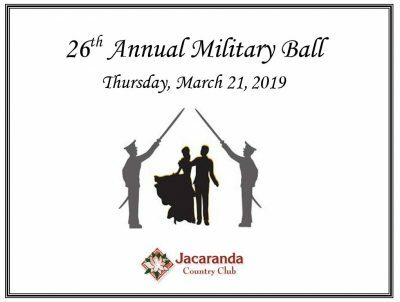 Click 2019 Military Ball for more information about the Ball and purchase tickets. Click to reserve a Military Ball Keepsake Program Ad. Tickets and ads no longer available. Congratulations Raiders! County Competition 11/17/18 – 4th Overall. Male Mixed Team heading to States! 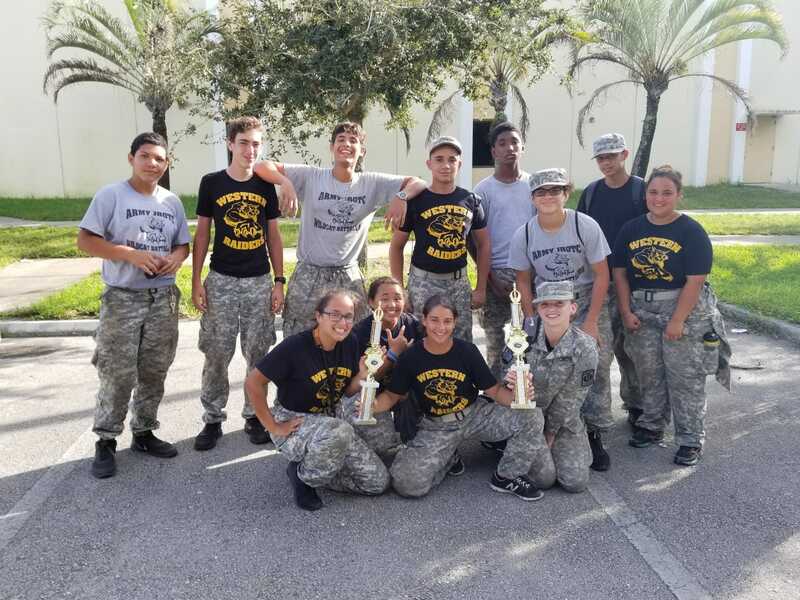 The Raiders teams did a great job and made us proud once again on Saturday at the County Competition held at Everglades High School. 1st Raiders Competition – Congratulations Raiders! It was a long hot day on Saturday, October 20, but the Wildcat Raider teams did a great job and made us proud once again. A special congratulations to the Mixed team for bringing home trophies for the Tire Flip and Obstacle Race events. Invite your family and friends to enjoy Cadet presentations and enjoy a delicious Baked Ziti dinner. Bring extra $$ to get your Parent T-shirt and Cadet gear, and participate in raffles and the Silent Auction for some amazing prizes, and to support the Cadet’s favorite activity – Penny Wars! All proceeds go towards funding supplies, equipment, and activities to ensure a fun and outstanding experience for the Battalion this year. To volunteer or donate items for the raffles, go to Volunteer Sign up. 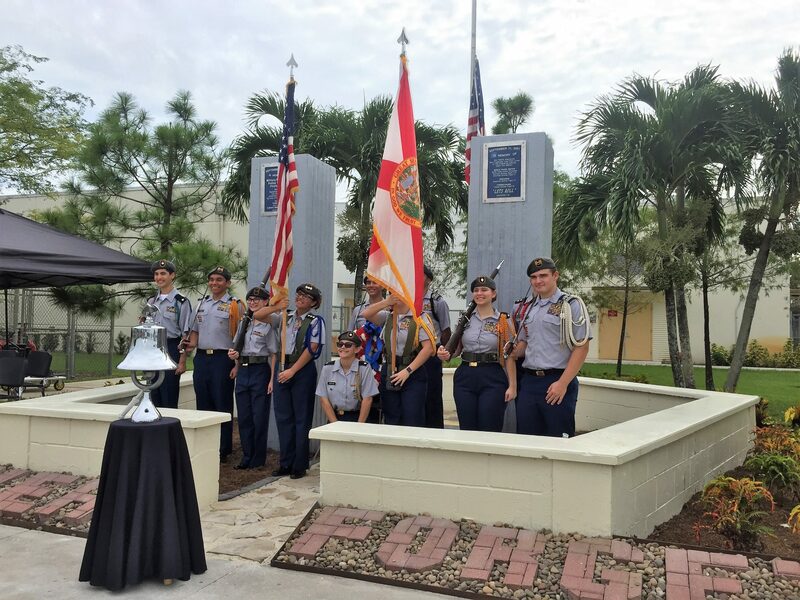 Today, Western High School and the South Florida Community commemorated the 17th anniversary of the events that occurred on September 11, 2001. The Wildcat Battalion did an outstanding job during the ceremonies as always. Today’s event was especially poignant for this year’s Seniors. They were just infants when the attacks occurred on 9/11 and they will be the last class that was alive when 9/11 happened. Thank you Western High School for continuing to host this ceremony every year. May we never forget. Booster Club Meetings – Join Us! !